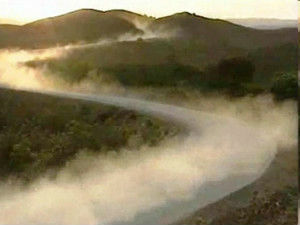 LOOKING FOR ROAD DUST CONTROL PRODUCTS? We offer 2000-lb bags of environmentally safe magnesium chloride flakes for control of road dust in spring, summer, and fall. Our products can be used in the treatment of unpaved roads, parking lots, riding arenas, construction sites, mining operations, coal-fired power plants, landfills, and similar high dust areas. Magnesium chloride is non-toxic and non-corrosive. It is safe around vegetation, water supply, and animals. Our dust control product is an outstanding dust suppressant and soil stabilizer. Use in the treatment of unpaved roads, parking lots and similar high dust areas. Safe around vegetation, water supply and animals. Use the Instant Asphalt Patch product for cold patching potholes, and cracks in concrete and asphalt, and the Rubberized Crack Filler for sealing cracks in asphalt, concrete, bridges and other structures. Our de-icing products are environmentally safe and less corrosive than salt. They are safe to handle, fast acting and easy to use. Our special formula helps to protect the surface area from corrosion.